The features and functions of this innovative range have been designed with ‘ease of use’ in mind. Taking advantage of the latest technologies while maintaining a secure environment, the 6000 Series feels familiar and is easy to use. 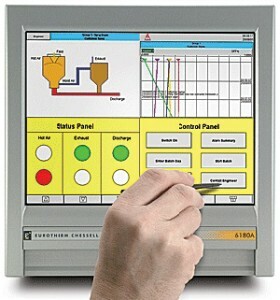 The touch screen is very much at the heart of the “Easy to use, Easy to Configure” nature of the 6000 series products. It is truly an easy way for operators to interact with the product. Not only does it make menu selection and data entry easy but the units can also be configured with use screens that have active areas or buttons so that the operator can press one place (maybe change alarm setpoint) next to the pictorial representation of the process he is working on. In some manufacturing environments, a touch screen is not the most practical interface. With the 6000 series recorder, the user can choose to use any standard USB ‘plug and play’ keyboard and mouse in place of the touch screen. Either way, there are no complicated button press sequences. The 6000 supports one USB port as standard (behind the flap at the front) and two additional, optional ports at the rear of the instrument. USB devices can be plugged in to these ports to add features in many combinations. If a keyboard and mouse is plugged into any of these ports they will simply work – no configuration is required. A memory stick can be used as an additional data archiving device – simply say which USB port you want to archive to. A USB barcode scanner can be used to record bar code information directly into operator data entry fields including batch fields. 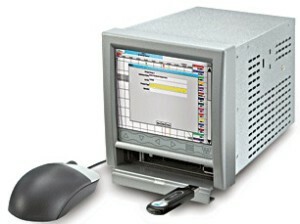 A USB floppy disk drive can be used to maintain compatibility with similarly configured legacy recorders. Bridge is one of the most powerful features of the 6000 series. It provides the user with a simple connection to the instrument from anywhere that has access to the network. From this remote connection the user has the potential to do ay operation that they could on the instrument itself. The remote viewing connection has the same look and feel of the instrument display but is independent – i.e. 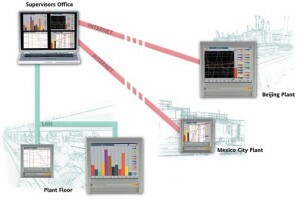 if the user scrolls between screens on the Bridge remote PC this will not change the local operator view on the plant floor. A supervisor can remain in his office and oversee operations from all areas of the plant. Bridge is licensed and enabled on the instrument – the PC software can be freely installed across the site. The 6000 version of Bridge will operate with existing 5000 series instruments. The 6000 Series recorders have the most powerful and flexible security capability in any recorder of its class. They offer unlimited user accounts, with a comprehensive list of individual access permissions assignable to each account. The 6000s offer both a full Auditor package which is designed to meet 21 CFR Part 11 Electronic Records and Signatures requirements, and a Audit Trail option which also gives complete traceability of configuration and operator actions without the stringent Electronic Signatures controls. All audit trail information is integrated into the process data files, maximising its security and eliminating the hassle of archiving seperate audit files. The 6000s have the option on an electronic lock on the media flap. Not only does this provide the basic security of the media contained behind the flap but traceability of access to the media. The flap is opened by user password entry (if that user has that permission) and the operation is recorder along with other operator actions if the audit trail is enabled. To ensure data is not lost, multiple archiving strategies can be set up for long-term data storage – data can be automatically archived at a cinfigurable time period to one of the removable media (Compact Flash /SD /USB Memory Stick /USB Floppy Disk Drive) and/or via FTP transfer across the network. The 6000s large available internal flash memory can be a critical feature in applications where it is difficult or impossible to implement a regular archiving strategy. Security Manager makes the control of security access across multiple recorders simple to manage. A user can change their password at a single location and this is transmitted to all necessary instruments across the plant. Different security strategies can be applied to different zones across the plant and users can be assigned to one or more off the zones on an individual basis. Security Manager makes advanced security easily usable in plant-wide applications. The 6000 series support multiple option board slots, up to 4 on the 6100A and up to 9 on the 6180A. This allows the user to customise a unit to fit their specific needs. Available option boards include relay output boards (Form A, B, and C), and Event Input boards. The 6000 series offer high speed auto-sensing 10/100baseT Ethernet capability.Adding the serial communications option no longer takes up an option slot, removing the previous limitation of 30 input channels on the 5180V. Serial interface is now through a pair of 9-pin D type serial ports, which are software selectable between EIA232 or 422/485. 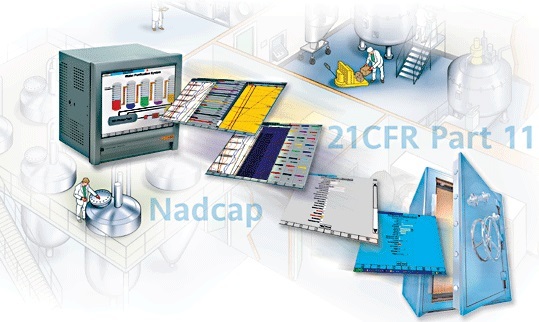 Available comms protocols are ASCII, FTP, Modbus RTU, and Modbus TCP. 6000 series instruments are inherently Modbus slaves, and can be optionally enabled as Modbus masters. USB (Universal Serial Bus) connectivity provides for the use of USB memory sticks as an additional data storage media. Additionally, USB devices including keyboard, mouse, bar code scanner, and floppy disk drives are plug and play. The stainless steel bezel option provides for hygienic design and washdown capability and is ideal for clean applications such as food & beverage, and life sciences. This option eliminates the front media flap, therefore the optional rear USB ports should be ordered if removable media is required. The 6000 series instruments offer up to 128 virtual channels, configurable as Maths, Totalisers, or Counters. This configuration is software selectable on the unit, eliminating the need for a new key code to change the mix. The 6000 series instruments offer 6 groups as standard, with as option for an additional 6 groups – making a total of 12. The user screen capability has been enhanced by the addition of memory allowing for more components, and higher resolution pictures. The 6180A has an XGA display (1024 x 768 pixels) vs. the 5180V SVGA display (800 x 600 pixels). Also, the 6000s support 16-bit color (65535 colors) vs. 12-bit color (256 colors) support on the 5000s. The speed of changing from screen to screen has also drastically improved. Bridge software gives the 6000 series an extremely powerful remote viewing capability. For security, Bridge connectivity is password protected and must be enabled on a per-user basis. Bridge Lite, now included as a standard feature, allows the user to view the recorder’s home screen from any PC that is networked to the recorder. Bridge Full gives the user full access to all of the recorder’s features. In short, it virtually puts the recorder right in front of you.